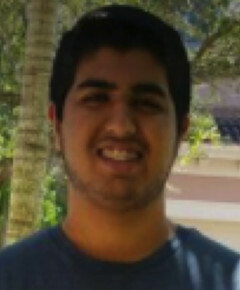 Abdullah Durrani was born in Miami, Florida and is a rising senior at the Medical Academy for Science and Technology. He hopes to become a flourishing and prosperous neurosurgeon in the distant future and reckons that his fruitful passion for physics and biology will aid him in securing his soon-to-be career. Out of the classroom, Abdullah spends his time in the Mu Alpha Theta Club (Math Honor Society), Pharmacy Club, German Club, H.O.S.A., and also tutors students who have a difficult time understanding fundamental concepts in mathematics. Abdullah enjoys to box, play guitar, take pictures, and play video games with his younger brother during his free time. Ana Posada is a senior iMed student attending the Medical Academy for Science and Technology High School in Homestead. She enjoys incorporating psychology into fields that do not tend to use it. This is why she chose biomedical engineering as the perfect place to do the Summer Research Internship Program. In school, Ana participates in a number of clubs and societies, including the Red Cross Club, The English Honors Society, The Spanish Honors Society, and the Student Government Association. After school, she spends her Wednesday's volunteering at a Children's Bereavement Center, helping children grieve after losing a loved one, inspiring her to study psychology. 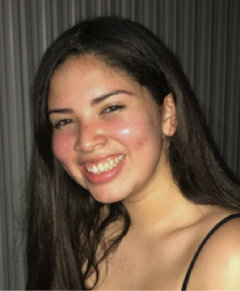 Alexis Whitby was born in San Jose, CA to a Brazilian mother and American father and is currently a rising senior at the Maritime and Science Technology Academy in Key Biscayne, Fl. Despite spending a considerable amount of time working to maintain a 4.0 unweighted GPA in a schedule full of AP classes, she still finds time to be the captain of a VEX all girls robotics team, captain of her school's geography bee team, president of Stage Crew for Performing Arts, and an active member of Rock Ensemble, Mu Alpha Theta (mathematics honor society), National Honor Society, and International Thespian Society. 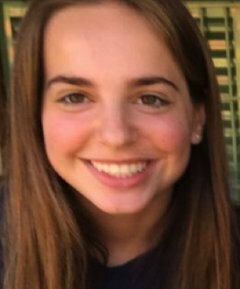 Alexis loves to learn new instruments- already having learned guitar, ukulele, trumpet and flute- and has a passion for languages, being fluent in both English and Portuguese, highly proficient in Spanish, and currently learning French. She intends on one day attaining a PHD in Biomedical Engineering from the University of her Choice. Copyright 2014 Florida International University, Adaptive Neural Systems Laboratory. All rights reserved. Site design by Academic Web Pages.